Key difference: Law is defined as a legal system that comprises of rules and principles set by the ruling authority to govern over the affairs of the community. While, ethics are defined as moral guidelines set, put forth and followed by an individual. In general, ethics are moral philosophy where a person makes a specific moral choice and sticks to it, whereas law is a system that comprises of rules and principles to govern a society. Though, ethics are based on the goodwill of law, ethics completely differ in their foundation, basis and purpose. Thus, to further understand the difference, we define the terms law and ethics. There is no universal definition for the term ‘law’, but is it often defined as a system that enforces set of rules and guidelines to govern social behavior. 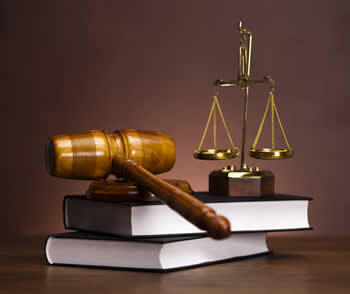 Law is also defined as regulations established by a governing power. These rules describe the way in which people are required to act with each other in a society. They are requirements to act in an established manner in a society. Though, under authority, these laws are widely published, generally accepted and usually forced. Ethics, on the other hand, is a branch of philosophy that is the study of value or quality. It encompasses the analysis of concepts such as right, wrong, good, evil, justice and responsibility. It attempts to define what is good for the society and the individual. It also seeks to establish a set of duties that a person owes to himself and the others. Ethics is derived from the Greek word ‘ethos’ that means ‘arising from habit’. These values too come from within a person’s moral sense and desire to preserve his self respect. Ethics concerns itself with why and how one ought to act. It is derived from expansive theories of right and wrong, which gave rise to the rules of conduct. These rules set the standard of behavior of a person with his society. Based on this, law too derived a set of rules to stabilize the society. Though, law is a derivative of ethics, law does not focus on promoting social ideas, it merely promotes the convention of a good society. Laws help shape politics, economics and society in numerous ways and serves as a social mediator of relationships between people. Ethics, being about actions and decisions, helps to shape an individual’s conscience and character. It consists of learning what is right and what is wrong and doing the right thing. Also, it is interesting to know the various consequences, outcomes, alternatives and personal implications of ethical decision. Ethics and laws are therefore necessary to provide guidance and stability to people and society as a whole. Though, ethics and law go hand-in-hand, it is a complicated relationship between the two terms. The connection between law and ethics depends on perception, because often what is perceived as unethical is usually considered illegal. Though, such is not the case. Law does not prohibit many acts that would widely be condemned as unethical. For example, lying or betraying the confidence of a friend is not illegal, but most people would consider it unethical. Also, speeding is illegal, but many people may not have any ethical conflict with exceeding the speed limit. So, law is more than simply codifying ethical norms. It is defined as a system that enforces set of rules and guidelines to govern social behavior. It is defined as moral guidelines set, put forth and followed by an individual towards his society. These are ethic codes that people are required to obey. These are moral codes that everyone must conform too. These are rules stated by the government to balance the society. These are rules of conduct of an individual. It is enforced on the people. It comes from within an individual. It directly states of what is right and what is wrong. 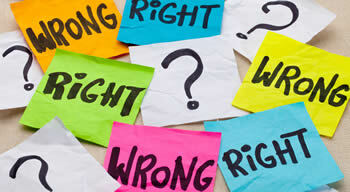 Here, a person decides to what is right and what is wrong. It needs to be published. It needs to be obeyed. It need not be published. It may or may not be consistent. It is not necessary to obey. There is valid punishment for breaking the law. There is no punishment for defying one’s ethics. Law is judged by judicial standards. Ethical behavior is judged by moral standards. These are made by using ethics as a guiding principal. These come from within a person by his moral values. Laws depend on the country, state and the place of the crime. Ethics are universal and can be applied anywhere, all over the world.